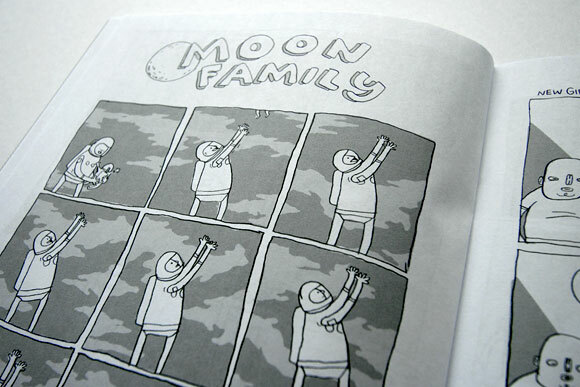 Nathan Bulmer's work has appeared in MAD Magazine, Time Out New York, Seattle Magazine, The Comics Journal, and his own self-published minicomics. 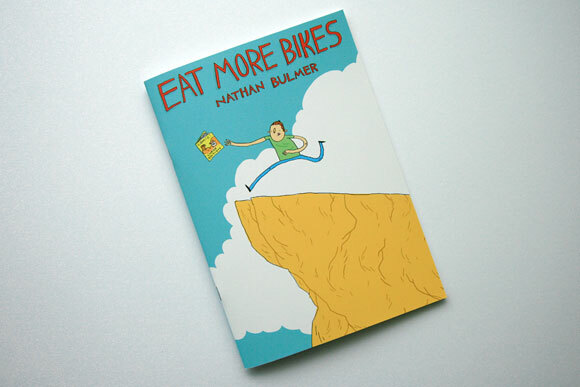 Eat More Bikes takes its title from Bulmer’s daily webcomic, but the comics in this collection are all new. 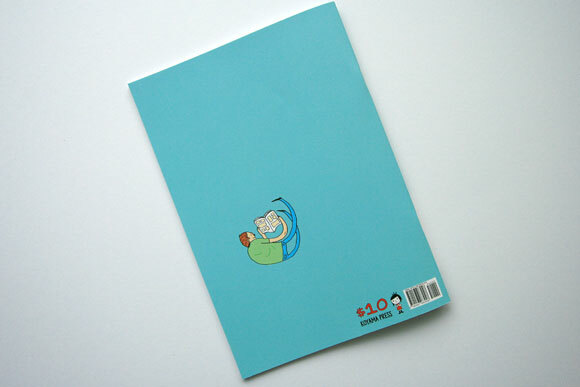 Rest easy Bulmer believers, these comics are just as joke-filled and still traffic in the same absurdist humour Eat More Bikes is known for. Guaranteed to have butterflies, at least one BMX, and a duck constabulary; not guaranteed to be found filed under cycling or food.